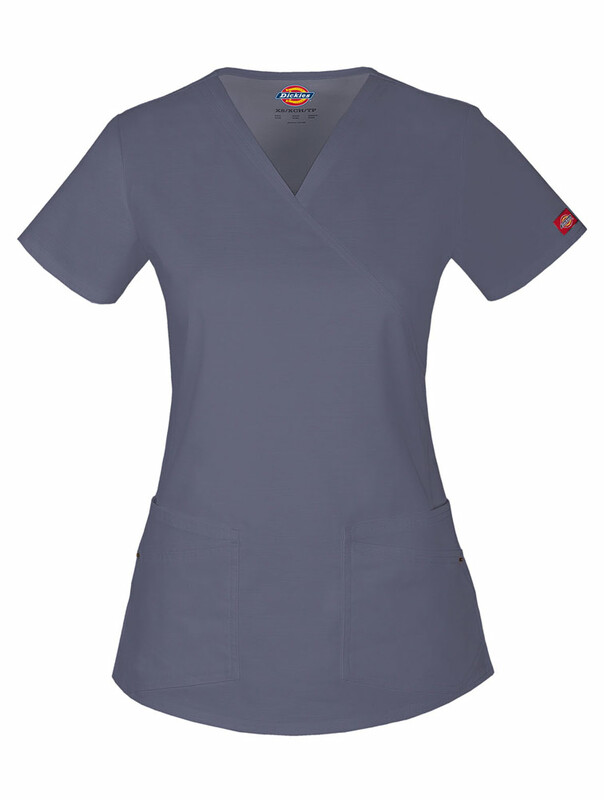 A Junior fit mock wrap top features front princess seams, patch pockets with additional exterior pockets anchored with Dickies logo rivets, back yoke, and center back seam for styling. 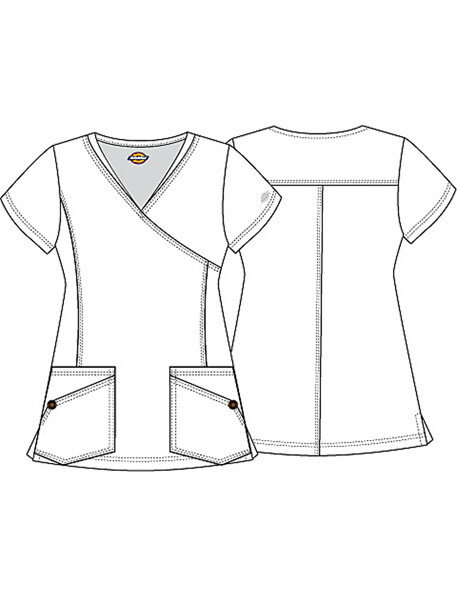 Double needle stitching and side vents complete this top. Center back length: 26".